Are you always hungry when you eat? If the answer is no, then you are probably eating for another reason - comfort, boredom, emotion or habit. With all of this, it is perhaps not surprising that many diets fail in the long term, although we can suspend our habits for weight loss in the short term. 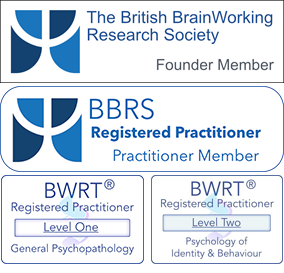 BWRT® Transformational Coaching includes a unique approach towards Weight Loss Coaching examining the emotional drivers that lead to eating and weight gain, eradicating them and leaving you free to lose weight naturally. The aim is to establish the reasons behind over-eating, and to empower you to regain control over your eating habits. Based upon the relationship between weight and attitude and the mind body relationship, coaching is an holistic approach. It is an investment in you, your health, and your well-being.